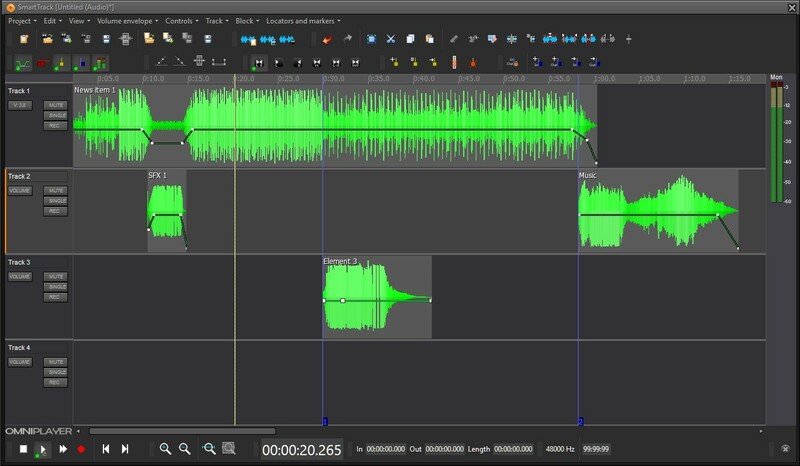 The SmartTrack Audio Editor is an advanced and fully customizable multitrack audio-editing tool. It includes many of the production functions needed in a modern radio station. SmartTrack is available as an embedded application in OmniPlayer or as a standalone application for journalists in the field. 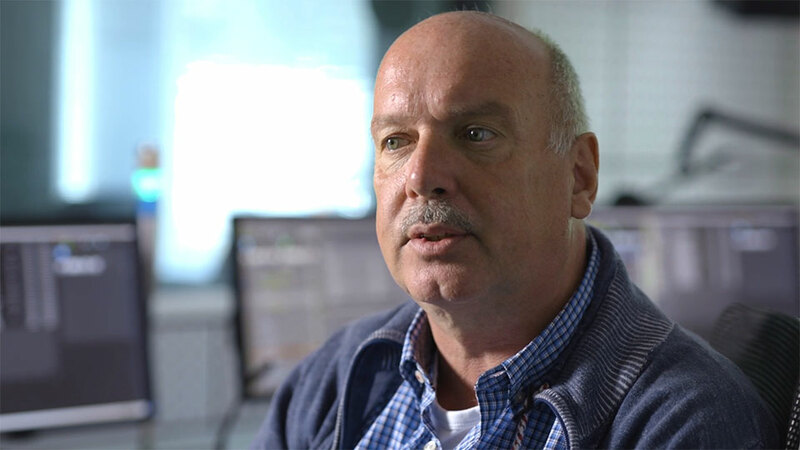 “In radio, editing speed is essential. Our journalists gain a lot of speed, editing while recording with less than 10 minutes of training”. SmartTrack lets you add tracks on the fly, name segments, cut, paste, and insert audio into an audio file without altering the original. The editing functions can be controlled either with a mouse or by keyboard short cuts. SmartTrack supports native mixing of multiple formats and multiple sample rates without conversion. Just drag and drop titles directly into the waveform window from the Database explorer, Windows file explorer or the Search Application and edit. The user can place markers and locators to mark different positions while listening to a take. The markers are then used to move the play head quickly to the pre-defined audio location. SmartTrack has unlimited undo’s, redo’s, normalize, trim and volume editing. The volume editing function allows the user to drag a line, thereby altering the output volume of the track allowing for fast and smooth editing. SmartTrack’s greatest advantage is the ability to edit while recording and allowing multiple users to edit the same audio, thereby sharing resources. SmartTrack supports native mixing of multiple formats (e.g. SND Musicam, MP2, MP3, WAV PCM 16 and 24 bit) and multiple sample rates (44.1 and 48kHz) without conversion. OmniPlayer has also an integration with external audio editors like Adobe Edition, Audacity and Sony Sound Forge.